Millennial Men vs. Generation X Men - What's The Difference Between Gen X And Gen Y Men's Style? Either Generation X or Generation Y, aka millennials. What do they bring to the style table? Both generations have experienced large economic and technological shifts and have been characterized as highly individualistic (sometimes to the point of narcissism). For better or for worse, both ‘Me Generation's have challenged old rules and forged new directions for the way men dress. So how has your generation shaped men's style? Let's find out. One of the BIGGEST advantages Millennials have over Gen X is their gift for innovation and entrepreneurship – including when it comes to style. Enter Mohammed and Jason, the brilliant young founders of KK and Jay, the sponsor of today's video. They make the BEST shirt stays in the business. What are those? They're the invisible reason well-dressed men's shirts stay perfectly sleek and tucked in all day. Click here to check out KK & Jay and use code RMRS for the best discount on the internet. Click Here To Watch The Video – Gen X vs Gen Y – Difference Between Millennial Men And 90s Kids? Music: The mainstream saw the birth of the popstar and grunge rock at the opposite pole. The punk, goth and rave subcultures flourished. What millennials call “classic” hip-hop came out when gen-Xers were teens or twentysomethings. Commentators sometimes call Gen X the “lost generation”. They were born in an era of shifting social norms and rising rates of divorce. They are less numerous than older and younger age demographics. For all these reasons generation X kids statistically got less attention – both at home and from marketers and media – than their counterparts. This generation's youth culture was known for its cynicism, irony, and backlash against the idyllic American dream sold to baby boomers. One iteration of this self-awareness was the so-called “logomania” that hit its stride in the mid-90s. Abandoning all pretense of being above status symbols, gen X consumers embraced the walking-billboard vibe to advertise their own success. It was a marriage of the power-dressing philosophy of the 80s with the relaxed and street-inspired styles of the 90s. Male vanity grew up and went mainstream along with Gen X men. The stark transition from glam to grunge was bound to lead to a backswing. Men who wore baggy ripped jeans in their teens became peacocks in their 20s. While the glam rock fop was mostly seen in nightclubs, the metrosexual showed up in broad daylight at the office. 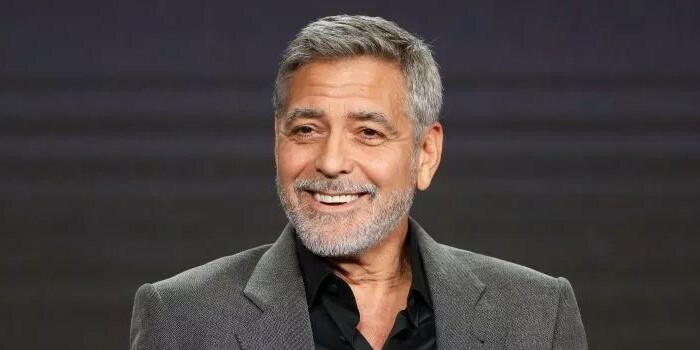 Forbes reports that Gen X men describe George Clooney as a style role model. Clooney's wardrobe is almost 100% elegant classics. Old-school glamor suits him perfectly but he wears it lightly (you could say almost… ironically.) He'll wear a perfect light gray suit with a black dress shirt, no tie, and a few shirt buttons rakishly undone. With many distinct subcultures each exerting a certain influence on the mainstream, it's hard to pinpoint a single Gen X style. Overall, Gen X made dress codes more relaxed – they paved the way for today’s style by rejecting strict suit-and-tie standards. They introduced a mix and match “making fun of fashion” sensibility–suits with sneakers, docs with jeans, stud bracelets with a nice OCBD. It's because of them that we're able to mix formal and informal pieces in menswear, like a dress shirt and jeans. Millennials are the largest generation since the boomers. They're considered highly savvy and sophisticated due to digital literacy compared with previous generations that didn’t grow up with the internet. Displaying themselves and their lives online is a natural way of making conversation for them. Millennials have done a near-total 180 from the performative apathy of Gen X. They are sincere, idealistic, passionate about social justice, and extremely vocal in standing up for themselves. They've largely traded irony in for absurdity. In this generation the music scene is no longer the arbiter of subcultures. It's about where you hang out online and who's in your orbit there. Millennial men are less brand loyal than previous generations – they prefer indie brands they can interact with on social media. Crowdfunding platforms like Kickstarter and Indiegogo thrive on the millennial love of being involved – allowing users to collaborate in the birth of a brand and influence the way it develops. In Gen X every nonconformist subculture had its own internal conformism; Gen Y men are genuinely diverse and individualist. In a culture where everyone can find their niche via the internet, they feel free to mix elements from different social spheres. On the other hand, social media means millennial men have had to be more self-conscious and tend to worry about their appearance a lot more. 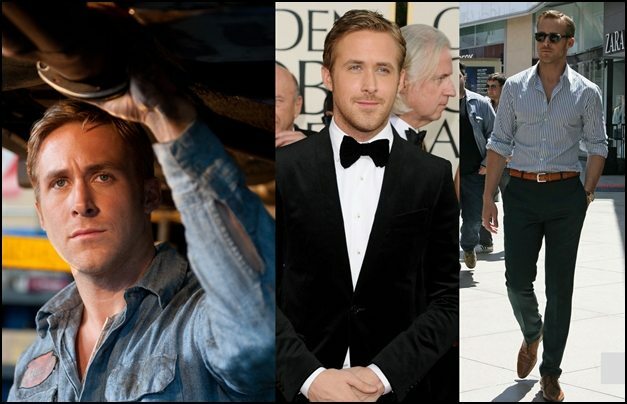 Millennials cite Ryan Gosling as a style role model. His excellent grasp of classic casual style and his gentle but confident persona (as immortalized in the ‘hey girl' meme, where Gosling is depicted saying encouraging things to women) capture the zeitgeist. For Millennial men, dress codes are far more relaxed even than in Gen X. For the first time in history men wear suits because they want to – not because they have to. This has led to some not-so-office-appropriate innovations like the ‘blogger blue' suit and skinny suit fits. For better or for worse, Gen Y men are more comfortable with more androgyny than their forebears. They're more likely to wear unisex styles and unisex fragrances. The rise of the internet and the millennial love of individuality have led to a boom in customization – previously a luxury for the rich. Everything from Adidas sneakers to watches can be customized online. Another innovation is hipster style, which has led to some much-mocked excesses but also led to masculine style classics like beards and bold glasses frames going mainstream again. While the baby boomers experienced dramatic change over the course of their younger lives, Generations X and Y lived through changes of a different nature – technology restructured the way we experience the world and interact with each other. Generation X absorbed the brunt of that shock while Millennials continue to ride its waves, and that's affected the way both generations present themselves to the world. Will their style contributions prove as lasting as those of generations prior? Only time will tell. And finally – no matter which generation you're from, don't forget to check out KK & Jay. I WISH I'd had their shirt stays in the Marines – the ones we had were always falling apart. But the first pair KK & Jay sent me are still going strong after 3 years. What's more, they’re always innovating, like so many other millennials. You can choose stays that clip to your socks (so your socks stay up too) or an inventive design that you can wear with no-show socks. Seriously – click here and check out KK & Jay – and remember the code RMRS for a fantastic discount.